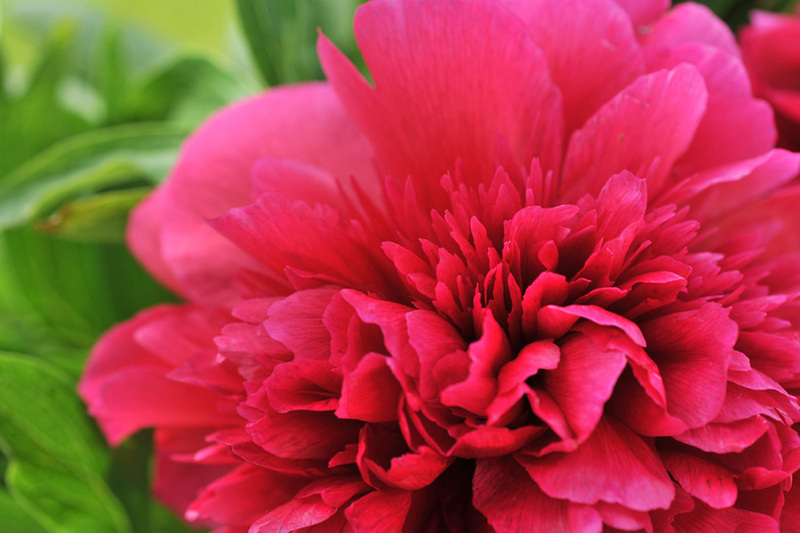 Variety: There are three types of peony: herbaceous, tree peony, and intersectional (which is a combination of herbaceous and tree types). Note: Peonies are grown as ornamental plants for their very large, often scented flowers. Due to their colorful and attractive flowers, Peonies have gained a huge popularity these days and are also made available in artificial form which are used as indoor decoration. Peonies are extremely long-lived plants lasting up to 50 to 70 years, so once you get them planted correctly, you will enjoy them for years and years. Colour: Peonies range in color and include shades of white, yellow, red, pink and mauve. Flowering time: most bloom from 1 to 6 weeks during early spring and mid to late summer, depending on the variation and care. Width: Mature plants will reach a diameter of three feet or more and so it is important to give them enough room to grow and develop. Light preference: Require about six hours of sun a day. Prefer a partly shaded spot. Watering: Too much water while the flower buds are developing may cause them to wilt and die, just like too little water. 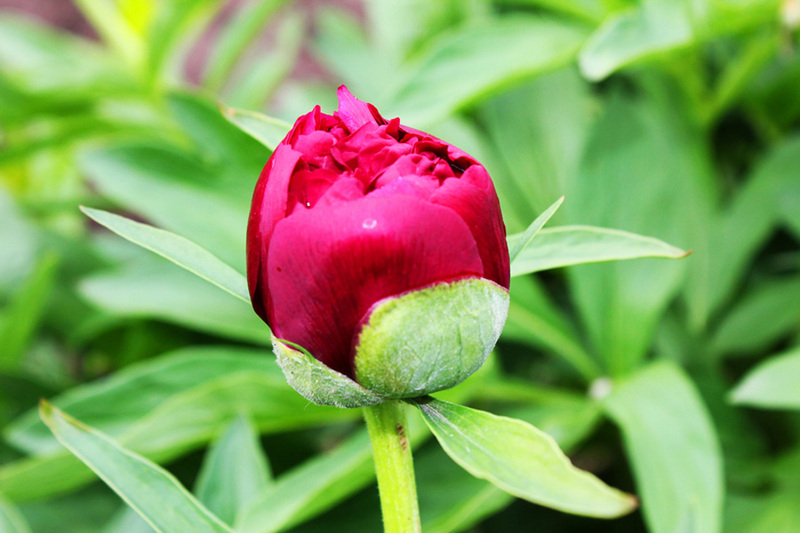 Try to keep the soil evenly moist and make sure the peony is planted in well-drained soil. During the dry summer months, Peonies require regular, deep watering. A spring application of 2-4 inches of leafy, organic mulch will help to conserve the soil moisture. Soil requirements: Plant in good friable, slighty acidic, well drained soil. Good drainage is vital to avoid root rot and fungal diseases. Fertilisation: Light fertilization with a bulb fertilizer, like a 10-20-20 at plant emergence in the spring, and again in the summer after bloom. The main thing is to keep the nitrogen content low. Too much nitrogen causes lots of foliage growth, but doesn’t encourage bloom, so try not to overdo it. Insects: Peonies tend to attract ants to the flower buds due to the nectar that forms on the outside of the flower buds, and is not required for the plants’ own pollination or other growth. 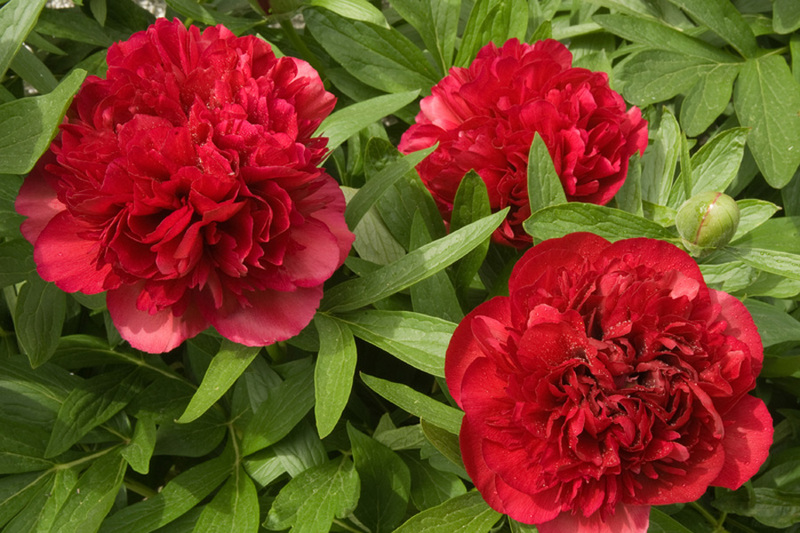 Diseases: The main disease affecting peonies is Botrytis, or grey mold, which is a fungus and should be treated with copper sulfate or other fungicides such as fungicidal soap. To prevent Botrytis, allow for air circulation around the plant, and destroy the foliage after fall freezes to reduce the possibility of disease. Other notes: Peonies are gorgeous perennial flowers that grow as a herbaceous cultivar and as a peony tree. 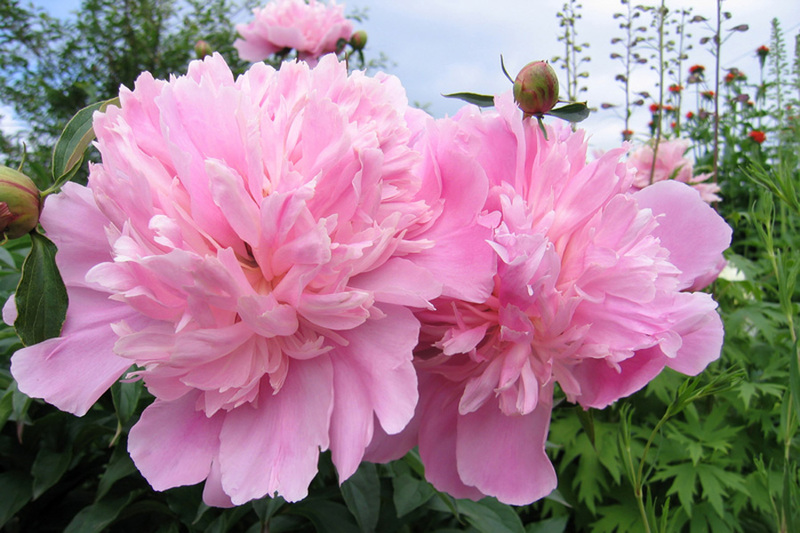 Peonies should be planted away from large trees or shrubs because they will have compete for root space and nutrients, resulting in the size and the quantity of the flowers being reduced.